That is a statement uttered by the non-believers – those who don’t connect with the music and the messages found on the plethora of rap and hip hop releases that hit the streets throughout any given year. 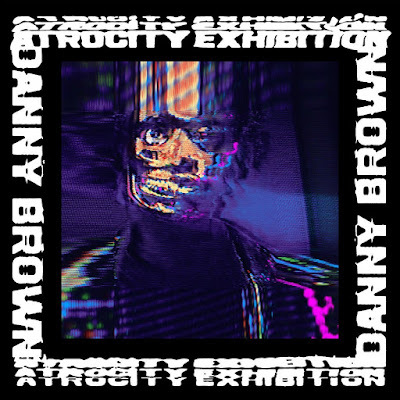 However, one listen to Danny Brown’s fourth album, ATROCITY EXHIBITION, will obliterate any notion that all rap/hip hop “sounds the same.” Released on the legendary Warp Records label and featuring guest appearances by Kendrick Lamar, Earl Sweatshirt, Petite Noir and B-Real (amongst others), this is one of the most original full-lengths of the year. While it may not sound like albums by acts like De La Soul and A Tribe Called Quest, ATROCITY EXHIBITION is just as groundbreaking – an album that will appeal to all music lovers who like to live on the edge. On the surface, it will intrigue the listener but as they dig a little deeper, the depths of this album will lead to amazement. Peel away the layers and you’ll discover a cornucopia of musical ideas fighting for a chance to be noticed. This is an album to explore. It is a listening adventure. This is emotion in motion. It is hard-hitting yet loving and embracing at the same time. ATROCITY EXHIBITION – named after a Joy Division song! – is art for art’s sake. STEPHEN SPAZ SCHNEE: ATROCITY EXHIBITION is about to hit the streets. How are you feeling about the journey to make the album and the reaction you’ve had to it so far? 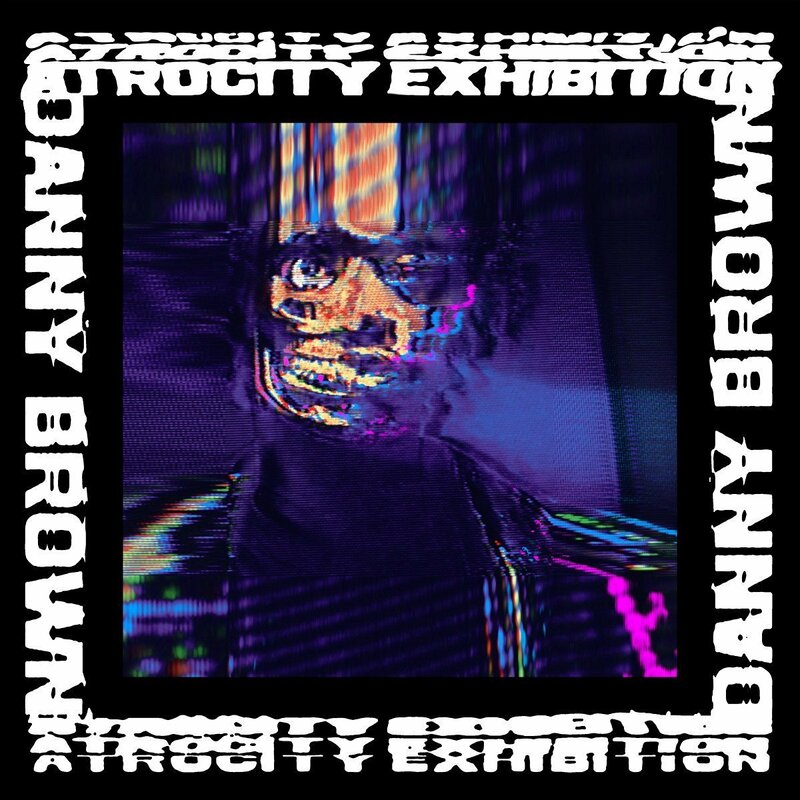 DANNY BROWN: Feeling real good, anxious, excited. I'm looking to up the ante again with this one. SPAZ: How did your deal with Warp Records come together? They have put out some rap and hip hop, but are mostly known for electronic music like Aphex Twin, Brian Eno, etc. DANNY: We had a mutual respect for each other after doing some work in the past. They're a historic Indie and I'm hoping we grow my international presence together. SPAZ: The album travels a lot of emotional ground. How difficult is it to get the right balance between light and heavy? DANNY: Life experience is complicated and messy, especially when you live half of your life on the road. Things happen, I reflect. SPAZ: The album will be classified as rap or hip hop yet there is so much more going on than just spitting rhymes. How do you like to classify your music? Or do you prefer to let others do that for you? DANNY: I don't really. I don't think about what genre this is or isn’t supposed to be, I just try to make a Danny Brown album. SPAZ: The recordings have so many layers and you discover new things with each listen. Does it trouble you that people may only pay attention to what is happening on the surface and not immerse themselves in the recordings? DANNY: I think the album works on many levels, but obviously the more you listen the more the songs open up and reveal themselves. It's as deep of an experience as you want it to have. You'll get what you put into it. SPAZ: There are a lot of influences in the music – more than just rap and hip hop. Are there artists that you admire that might surprise your fans? DANNY: Most of my fans know I'm a very proactive music fan. I spend hours daily absorbing stories and music. Talking Heads, ONLY BUILT FOR CUBAN LINX (Raekwon’s classic 1995 album) and Joy Division among others influenced this album in one way or another. SPAZ: Did you have a particular vision for this album before you began putting it together? Or did that vision present itself over time as you worked on it? DANNY: It comes together as you see a story develop out of the songs. You see some similar experiences being spoken about from different vantage points and that becomes a final product. SPAZ: You have a distinctive delivery that is uniquely your own. Who inspired you as a performer? SPAZ: How did you end up picking the name of a Joy Division song as the title of your new album? DANNY: Just found myself listening to it over and over, that song just became the inspiration for the album. Feeling like you're on display, to some extent suffering for other’s enjoyment. A kind of freak show. SPAZ: The timing of the new record is perfect following up the exposure you got with The Avalanches single. How did you connect with The Avalanches for "Frankie Sinatra"? And did their approach to making that album impact ATROCITY EXHIBITION? DANNY: No, what’s funny is I recorded that over five years ago, so it was just kinda cool timing. 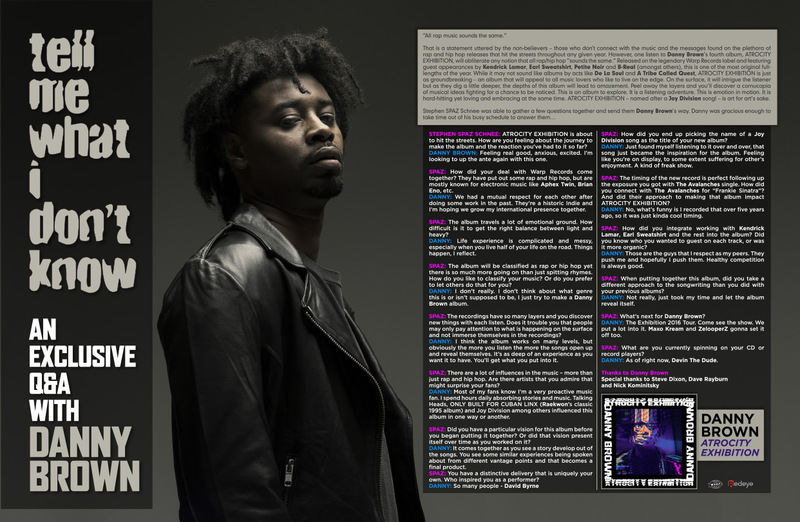 SPAZ: How did you integrate working with Kendrick Lamar, Earl Sweatshirt and the rest into the album? Did you know who you wanted to guest on each track, or was it more organic? DANNY: Those are the guys that I respect as my peers. They push me and hopefully I push them. Healthy competition is always good. SPAZ: When putting together this album, did you take a different approach to the songwriting than you did with your previous albums? DANNY: Not really, just took my time and let the album reveal itself. 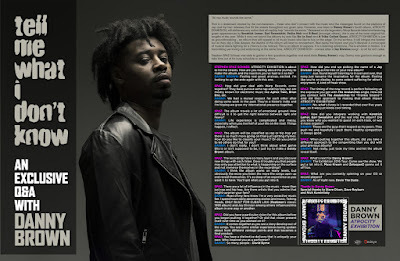 SPAZ: What’s next for Danny Brown? DANNY: The Exhibition 2016 Tour. Come see the show. We put a lot into it. Maxo Kream and ZelooperZ gonna set it off too. SPAZ: What are you currently spinning on your CD or record players? DANNY: As of right now, Devin The Dude.